Ruby Fortune casino has been one of the most popular online casinos on the Internet since its launch in 2003. As part of The Palace Group brand, Ruby Fortune is a "casino gem" that stands out as a comprehensive and one-stop casino for the everyday player. There are more than 450 game options on Ruby Fortune online casino, which makes it one of the biggest sites with the most wide-ranging selection of games. With everything from blackjack to the latest in slot machine excitement, Ruby Fortune offers generous payouts and a stress-free gambling experience. The four standards by which the site operates, referred to as Ruby Rules, are fairness, ease, safety, and fun. All four comprise the website and offer players a complete package. The bonuses for playing on Ruby Fortune online casino are many. For new players on the website, Ruby Fortune awards a £750 welcome bonus. The way it works is that the customer makes the first deposit and the website matches it at 100% to instantly double your bankroll. Then, the next two deposits of 50% and 25% matches equal a £750 that adds up to a solid initial bonus. In addition to the 100% match bonus on the first deposit of any amount of up to £150, the second deposit is a 50% match for any amount up to and including £200. That third bonus of 25% comes with the third deposit of any amount up to 400. Bonuses are instantly credited so players can use the funds and enjoy the Ruby Fortune experience with no delay. Progressive jackpots are another great addition to the website, especially the £1,000 progressive jackpot bonus. The progressive games included are Cash Splash, Fruit Fiesta, King Cashalot, Jackpot Deuces, Mega Moolah, and Lotsaloot. Any player who hits a progressive jackpot of £25,000 or more on one of those machines receives an automatic bonus of £1,000. In addition, Ruby Fortune online casino keeps in touch with customers with newsletters that detail the latest promotions. Loyal players are the first to know about new jackpots and bonuses. The Ruby Fortune Loyalty Club is another way to earn bonuses. Earn Loyalty Points by simply playing your favourite games on the site, as 1 Club Point is awarded for every €10 wagered in any game. Club Points add up to €10 in free casino credits for every 1,000 points, and just for getting started, new players are awarded 500 free Club Points upon their initial account registration. With more than 450 online casino games offered on Ruby Fortune, it can be tough to choose at which point to start. 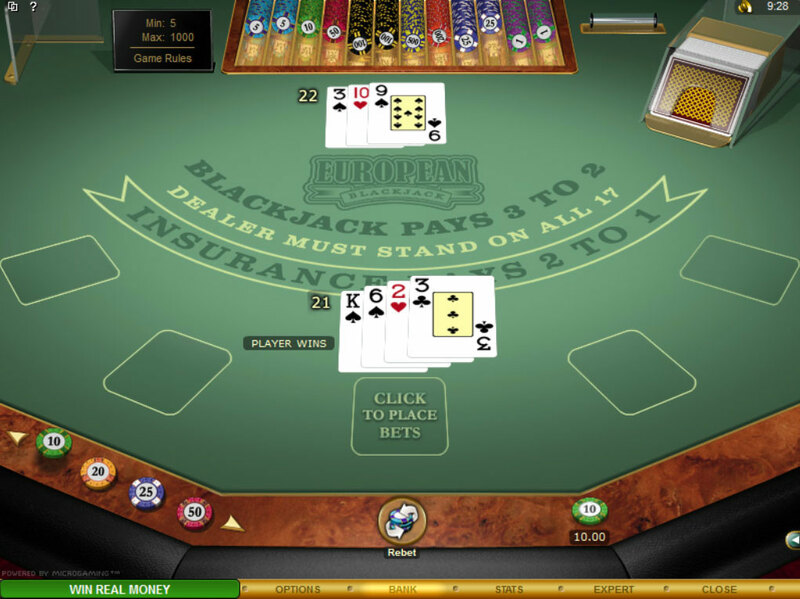 An easy launch point would be the ever-popular game of blackjack, and there are numerous options in that category alone. 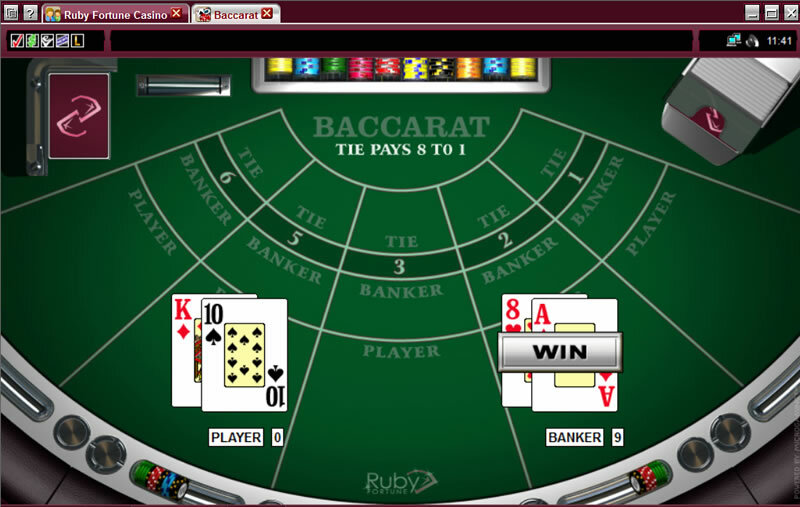 Blackjack choices on Ruby Fortune casino include many different versions of the game. The first one listed is European Multi-hand Blackjack, and the second is Atlantic City Multi-hand Blackjack. There are other options that include Downtown Vegas, Advance European, High Streak Blackjack, Blackjack Hi-Lo, Spanish Blackjack, and Vegas Single-Deck Blackjack. No matter your preference, there is a game for every player. Other tables games offered include a wide variety of Hold'em Poker, 3-Card Poker, Pai Gow Poker, Craps, Baccarat, and even High Speed Poker. When it comes to slot games, there are three-reels and five-reels, along with fruit machines and those boasting of progressive jackpots. 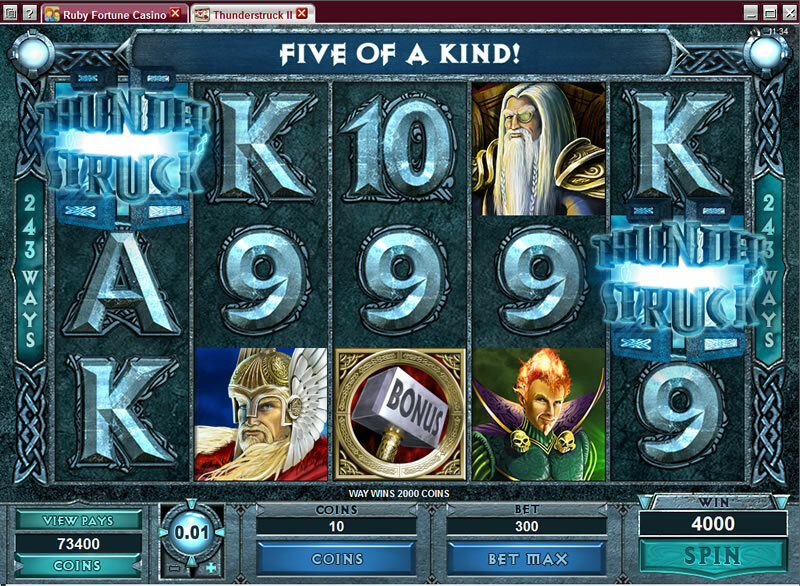 There is always the fun video poker or roulette, and instant win lottery-type games are available as well. Ruby Fortune Mobile Casino offers smartphone and tablet players plenty of mobile gaming options. There are dedicated apps for both iOS and Android, so that you can enjoy online blackjack on your Apple iPhone or iPad, Samsung Galaxy, Fire tablet or any other device. All of the casino’s features have been streamlined for the apps, so you will find all of the games and cashier features very easy to navigate on your screen. Players on Windows Phone or BlackBerry may not have apps available to them, but thanks to the HTML5 games playable in browser they can access the Ruby Fortune casino mobile version and enjoy a full range of games, as well as the same bonuses and promotions open to desktop players. From the perspective of this Ruby Fortune casino mobile review, Surface Pro and Nokia Lumix users have plenty of options available. The software used for Ruby Fortune online casino comes from gaming giant Microgaming, the leader in the online gaming industry. Therefore, the download is very simply and provides the latest in technology, including HD (High Definition) graphics and the most exciting games as they are launched. Along with top-notch software comes a host of safety precautions for the site's customers. Each person is assigned a private and personal account number, and all data transfers using that account are secured. Proc-cyber is a fraud protection company used by Ruby Fortune to ensure the safety of all personal and credit card information using the newest encryption technologies. Further, the Lotteries and Gaming Authority of Malta verifies that Ruby Fortune operates fairly. That stamp of approval on the site is next to the eCOGRA symbol declaring it a "Safe & Fair" site, meaning it has passed the high level tests of eCOGRA. Only the casinos that meet their high standards of honesty and reliability are able to obtain the seal on their front page. Customers of Ruby Fortune casino are able to choose from a variety of languages and currencies with which to deal on the website. The customer service phone number is a UK-based number but there is a toll-free version for residents in Canada, Australia, and the rest of the world. Support teams are on call to answer customers' questions and respond to concerns on a 24-hour-a-day basis, seven days per week. The team can also be reached by email or through a live chat button on the "Contact Us" web page. This established casino has won the trust of Canadian players through years of offering a top selection of online blackjack and casino table games. Regular offers and decent bonus amounts have proved popular and favoured players’ budgets and gaming habits. 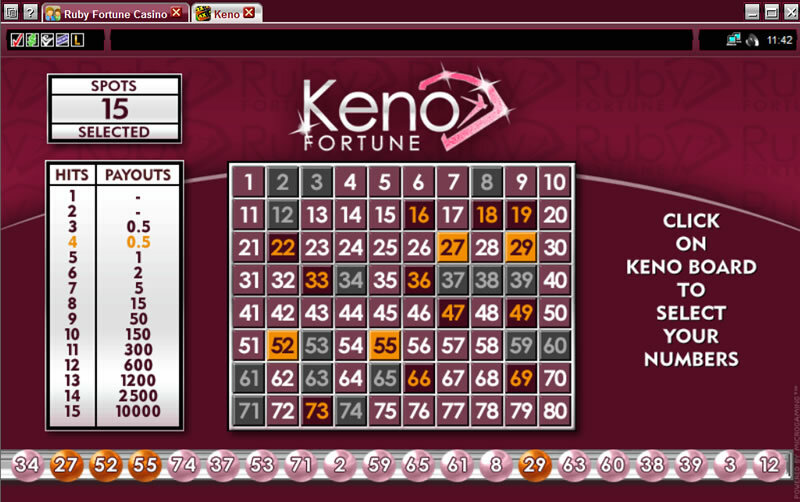 Overall Ruby Fortune is a good looking casino with some of the best gaming software on the market, and the security at the cashier is top notch. Players will have no trouble depositing with all of the biggest payment methods in Canada, alongside many of the smaller payment options. Try out a game now and take advantage of the current promotions on offer to players. Visit Ruby Fortune Now to Get Your $750 FREE Bonus! Featuring more than 450 game options, Ruby Fortune Casino stands out as a jewel among online casinos since it opened in 2003. Canadians can play a variety of popular games with generous payouts in an entertaining, safe environment. Find out everything you need to know to play at this stress-free, one-stop casino with the answers provided here. Definitely! Ruby Fortune welcomes Canadians and is a fantastic site for Canadians to play blackjack and other games safely and securely. Ruby Fortune features a variety of blackjack games for every player, including popular versions of multi-hand blackjack such as European and Atlantic City. Additionally, you'll find Vegas Single-Deck Blackjack, Advanced European, Spanish Blackjack, Downtown Vegas, High Streak Blackjack, Blackjack Hi-Lo, and more at Ruby Fortune Casino. Ruby Fortune Casino offers a variety of games besides blackjack, including baccarat, poker, slots, roulette and lottery-type games. With more than 450 games, there's a lot to choose from! There are many different methods to deposit and start playing at Ruby Fortune Casino. Choose from using your Visa, VisaDebit or MasterCard, UseMyBank or eCheck. Or, try payment services like Skrill, Click2Pay, InstaDebit or ClickandBuy to start playing today. Can I play in C$? Working through the accepted payment methods, Ruby Fortune Casino definitely accepts C$, so sign up and play with ease. 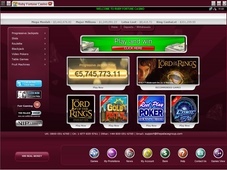 The Lotteries and Gaming Authority of Malta verifies that Ruby Fortune Casino operates fairly, and since its opening in 2003, Ruby Fortune has earned the stamp of approval from the eCommerce and Online Gaming Regulation and Assurance (eCOGRA), showing it's a safe and fair site that passed met all required security and safety requirements and regulations.